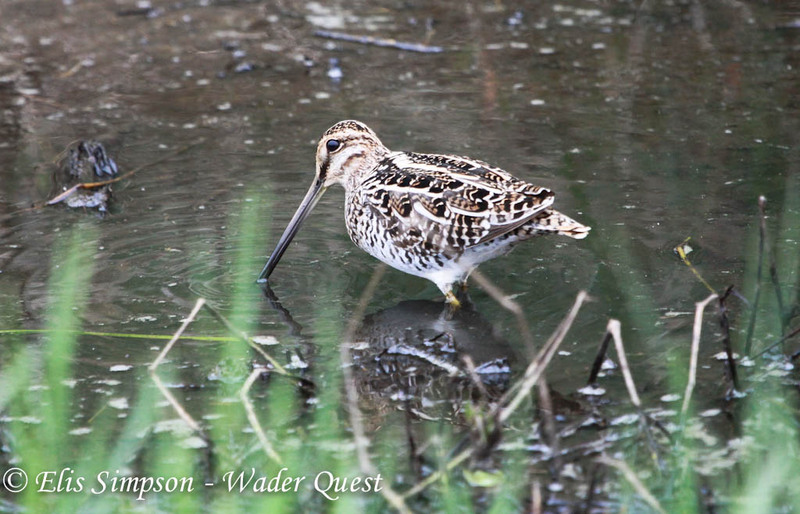 Wader Quest: Sniping again at taxonomy. The taxonomy of these four snipe is almost as complicated as identifying them! Common Snipe (Gallinago gallinago): Norfolk, UK. For a start there was some misunderstanding about the genus. For a long time this group were called Capella after Frenzel 1801. The name Gallinago had been used by Koch in 1816, but the protocol for nomenclature dictates that the earliest name is the valid name. It was later recognised that Gallinago had been used by Brisson 1760 and thus, predating Frenzel, the genus acquired the name it has to this day. Wilson's Snipe (Gallinago delicata): Louisiana, USA. In some literature, HBW and Shorebirds included, there are still just two species involved here Common Snipe Gallinago gallinago and South American Snipe G. paraguaiae. However within these two you will find Wilson's Snipe G. (gallinago) delicata and Puna Snipe G. (paraguaiae) andina. The South American Classification Committee (SACC) recognises all as separate species. For the purposes of the Wader Quest list we recognise them as four species too, not that we are making any bold statements about the taxonomy, we are simply recognising the different forms and pigeonholing them as species for simplicity. South American Snipe (Gallinago paraguaiae): Rio Grande do Sul, Brazil. If push came to shove though, would any of us be able to separate them in the field if we weren't given the geographic clues of being on different continents or stuck at the top of a mountain? 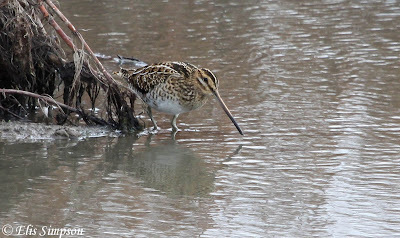 Puna Snipe (Gallinago andina): Junin, Peru. To answer your last question - I have seen all four and I doubt it!